Kids are learning to navigate the lessons and struggles of daily life from the minute they’re born. Infants are learning survival skills, toddlers are managing the basics of communication and socialization, and school age kids are expected to live up to increasingly intense schedules and social dynamics. While these are natural developmental stages, the pace at which they’re happening paired with still-developing vocabularies and abilities to express themselves create stressful situations. Introducing energetic practices like Feng Shui and meditation can give kids the tools to reduce their anxiety and boost confidence and happiness. When kids lower their stress levels they’re free to live in their natural state of curiosity, compassion, empathy, and joy. All of our kids offerings are available for groups, individuals, or in a “Mommy and Me” format. If you’ve ever observed a child in a crystal store, you already know how drawn kids are to their “magic”. They’ll usually head straight to the loose crystal display and after inspecting each one, they’ll zoom in on one or two, pick them up, carry them around, maybe even start talking to them. What they’re doing is intuitively responding to the natural vibrations of the crystal. Our kids crystal workshops are a little science + a little magic and all about hands-on fun. 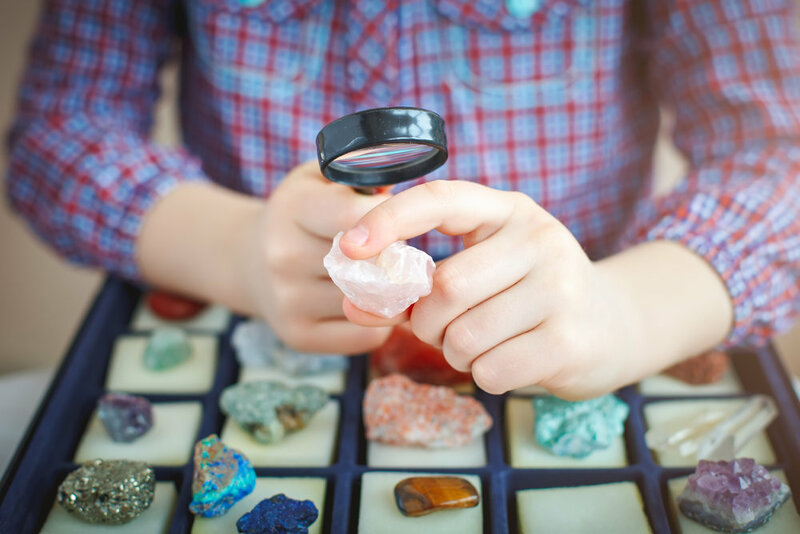 We’ll create an age appropriate event covering the how and why of crystal energy, discover the meanings of crystals that they’re attracted to, explore meditation, and create magical projects to take home. While there are countless benefits to adding Feng Shui to your home, this workshop focuses on working with Feng Shui “cures” and Personal Energy (Kua) numbers to empower kids in their four areas of luck - Success, Relationships, Health, and Wisdom. We’ll give a kid-friendly Feng Shui explanation, talk about Personal Energy numbers and what they mean, and create an art project to take home to activate Feng Shui energy in their room. Want to create a calm and happy kids room to fully support your child’s Feng Shui? Schedule a Single Room Consultation.